Made of Aluminum alloy.High quality and extra Long life. Super wear Resistance, high hardness. Blades is imported stainless steel, through the grinding polishing processing, high precision, good lettering quality. 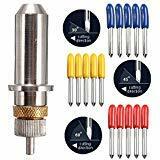 Carbide tip with higher hardness (HRA93), higher hardness, greater strength, tip more sharper, cutting plotter lettering faster. 30 ,45 ,60 design fits most of cutting plotter. Application: fit for Roland and most domestic and imported plotter. 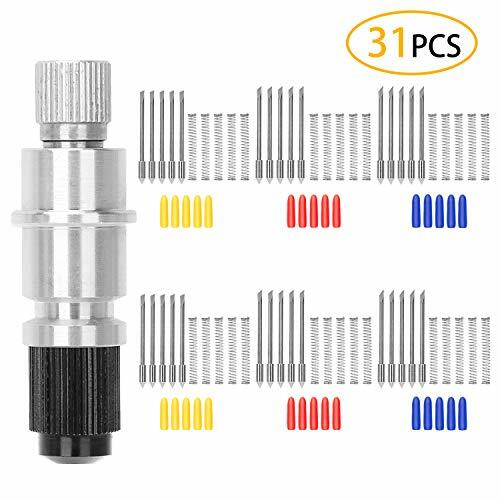 100% Brand New and High Quality;Material: Aluminum alloy (surface oxidation),Tungsten steel(blade)30 ,60 ,45 design fits most of cutting plotter. blade holder take the carved strokes away. Suitably engraved small print with new cutter and slow down. problem, if the phenomenon persists after change blade, it should be the holder problem. 30 BLADES: Compatible with Graphtec CB09U CB09, made from tungsten cemented carbide. High hardness, come with springs and blade holder base. 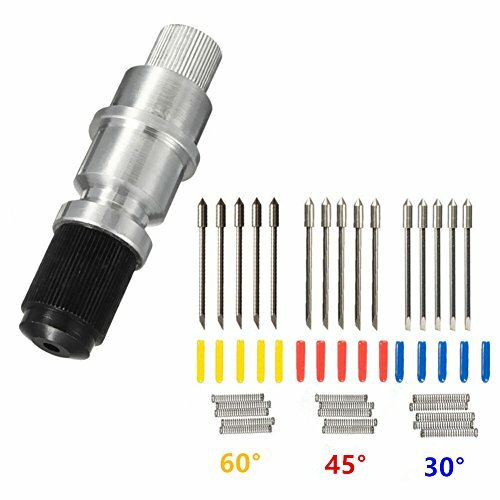 10 pcs for each degree. APPLICATION: Fine polishing process, suitable for mahogany, wood, PVC color board, MDF and other precision relief. 30 DEGREE: 30 blades are predominantly used for cutting very thin window tint and mylar materials. 45 DEGREE: 45 blades are the standard blade that comes with most vinyl cutters. They are recommended for all standard cast and calendered vinyls as well as other thin materials such as ThermoFlex Plus. 60 DEGREE: 60 blades are recommended for thicker materials such as reflective films, flock and twill materials and also sand-blast resist. Which can help install: You can use a magnifying glass, strong light and most importantly handling the blade and spring with tweezers (which will save you sticking yourself). How to set your depth by using a scrap of vinyl? Using your hand to hold and pull the knife housing with the blade set to where you can hardly see it...and with a little pressure you pull it across the vinyl. Do this several times while adjusting the screw, until it does not cut the backing paper. you can laid a magazine under the vinyl to protect the table. Please set up the depth just right. Be sure to do a depth test cut so you don't ruin your project!just compare it to the Cameo blade and then do a test cut. Once you've installed the blade, turn the button at the other end of the holder to adjust the cut thickness. 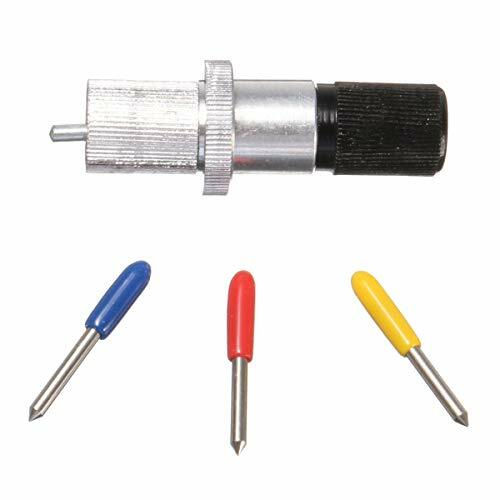 unscrew the black tip, insert the blade, add the spring, screw the tip back on. The hard part is making sure the blade goes to the right place and the spring stays on. 30 DEGREE: 30 blades are predominantly used for cutting very thin window tint and mylar materials. 45 DEGREE: 45 blades are the standard blade that comes with most vinyl cutters. They are recommended for all standard cast and calendered vinyls as well as other thin materials. 60 DEGREE: 60 blades are recommended for thicker materials such as reflective films, flock and twill materials and also sand-blast resist. High hardness, come with springs and blade holder base. 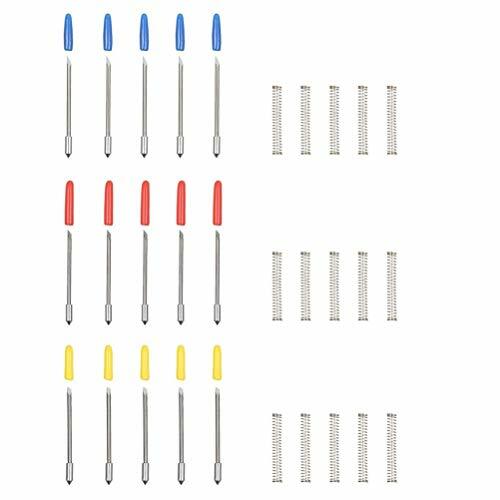 10 pcs for each degree.TOTAL 30 Graphtec blades. APPLICATION: The Hard Alloy Cutter Blades are with fine polishing process, suitable for mahogany, vinyl sheet,wood,silhouette cameo, faux leather,PVC color board, MDF and other precision relief.Compatible with Graphtec CB09U CB09 Cutting Blade Holder. NOTE: Graphtec cb09 blades came with NO instructions. 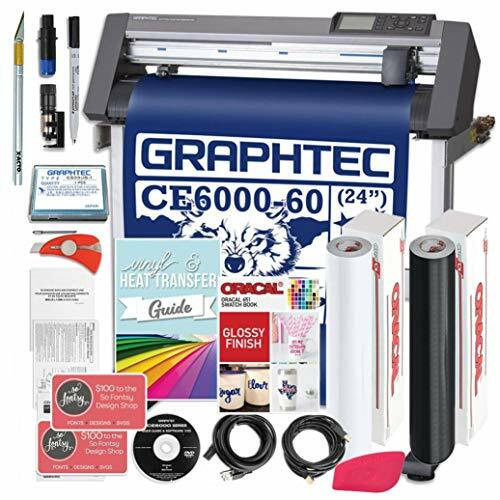 please do internet search and watch a few YouTube videos.Looking on YouTube will give you all the information you need to set graphtec blade up. 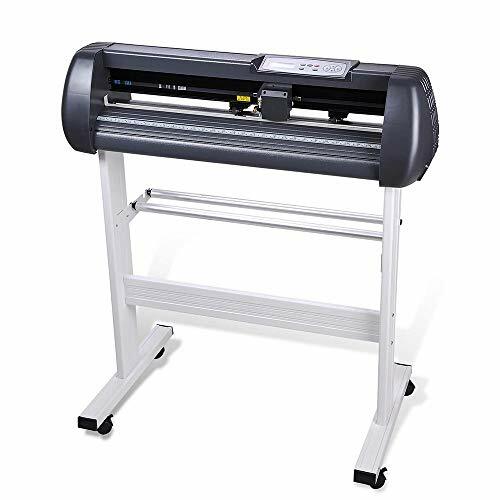 AFTER SALES SERVICE: If CB09 CB09U graphtec blade does not fit your Silhouette Cameo machine, please contact us, we will offer you full refund as we want our customers to be 100% satisfied. 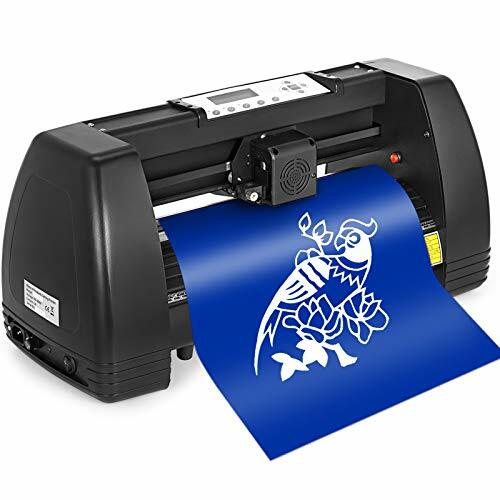 Roland Stika Cutter SV-12 In addition to cutting vinyl and other materials, the new STIKA makes an easy-to-use and cost-effective print/cut solution. 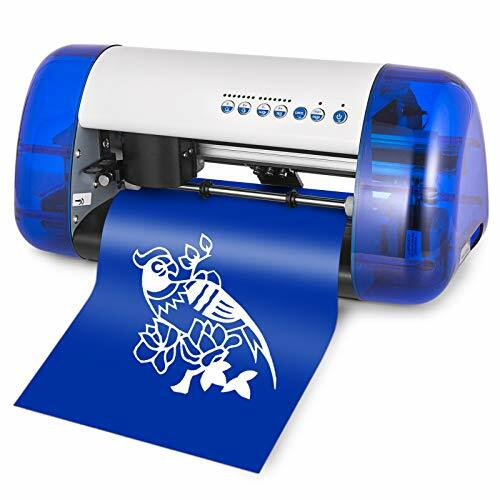 Users print registration marks with their desktop printer, load the printed graphic into the cutter, send the file to the STIKA and it contour cuts the graphics. 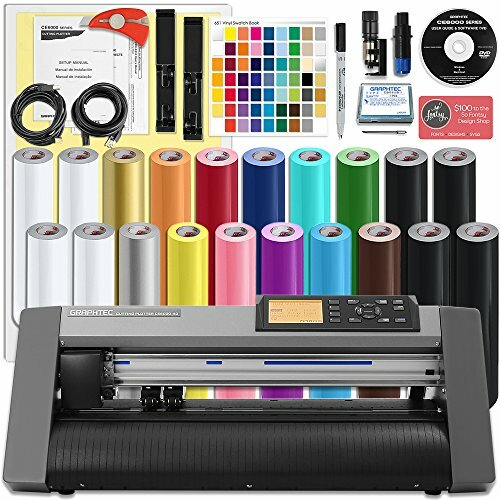 It's perfect for creating colorful POP displays, labels, iron ons and so much more! Making professional-looking graphics is a snap with the STIKA. 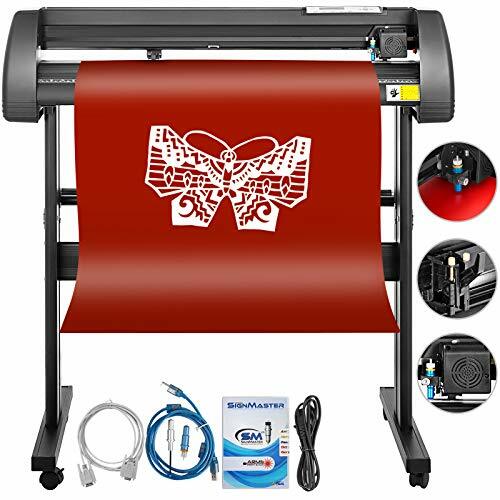 Simply design your graphics with bundled Roland CutStudio software, peel away the excess vinyl, and apply. It's that easy. Ideal for t-shirt shops, hobbyists, schools and offices. Acceptable sheet size width: 11" to 12"
Blades is imported stainless steel, Fine polishing process, suitable for mahogany, wood, PVC color board, MDF and other precision relief, high precision, good lettering quality. 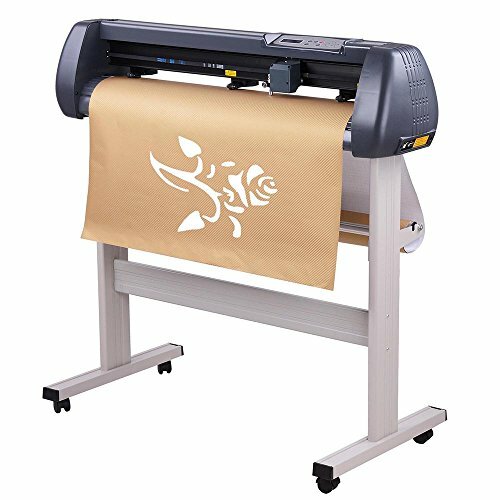 30 ,45 ,60 design fit for Roland and most domestic and imported plotter. 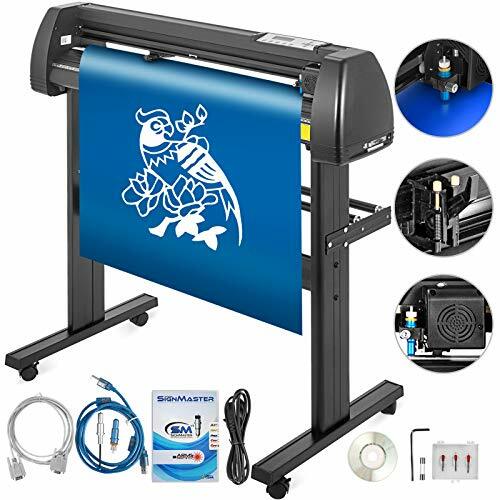 TITAN 3 is a high quality and affordable choice for professional sign makers and do-it yourself vinyl cutting enthusiasts. It cuts a max cut length of 300 inches. 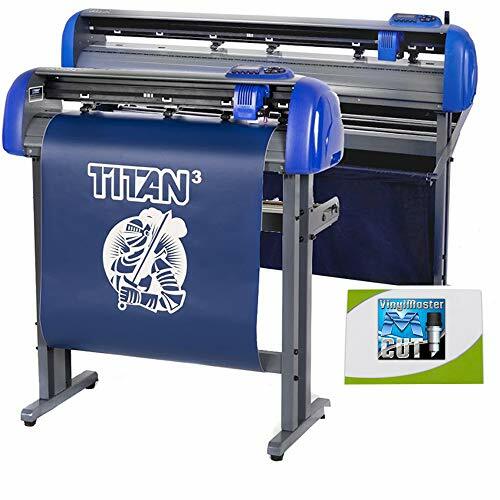 With it's variable speed and cutting force, the TITAN 3 is perfectly suited for cutting a variety of material including adhesive vinyl, window film, hard paperboard, sandblast stencil, paint mask material, and much more. 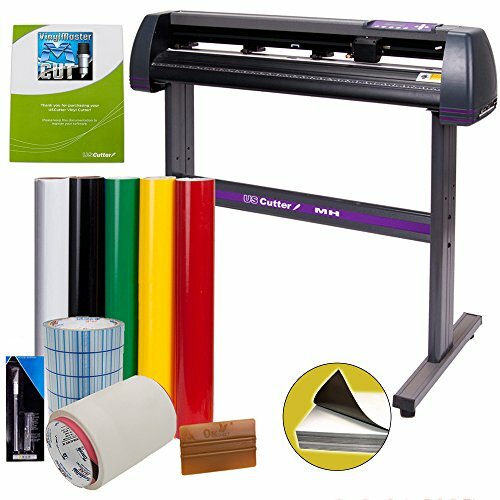 - The TITAN 3 comes equipped with ARMS for contour cutting (cutting prints). The ARMS system involves an optical eye which locates pre-printed registration marks which are printed around a printed graphic. Contour cutting is an essential feature for anyone looking to cut out printed designs and can be paired easily with nearly any type of printing including solvent and dye sublimation printing. - TITAN 3 is equipped with Vacuum Hold Down holes along the cutting strip. The Vacuum Hold Down feature provides extra grip and stability to the material being cut and is especially valuable for lightweight materials. 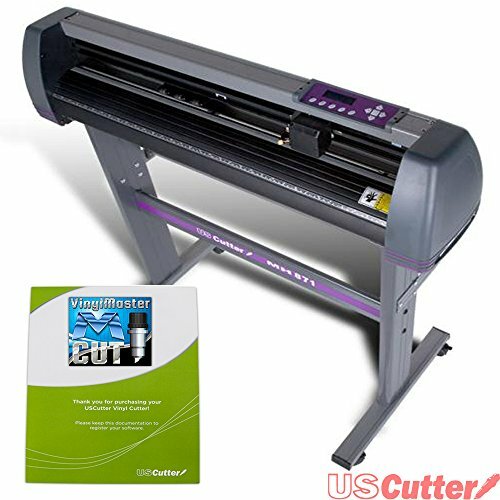 - VinylMaster Cut is dedicated vinyl cutting software designed specifically for making vinyl signage. 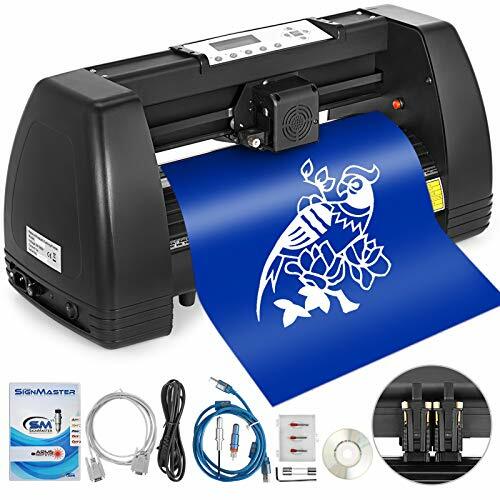 VinylMaster Cut allows you to produce a wide range of vinyl lettering, pinstriping, and general signage, and comes with a suite of text, curve, and object tools. Take your creative vision from your mind to ready to cut computer image file with an easily customizable and intuitive interface. Fonts are vectorized and ready to cut immediately. Edit images, draw shapes, customize text, modify signs, create logos, and so much more. - Blade holder is made of high quality aluminium. 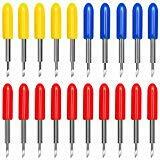 - 60 Blades (yellow cap) for Cutting large fonts and thick materials which about 1mm. (eg: reflective material, masking tapes, etc.). - 30 Blades for Cutting large fonts and thick materials which is about 1mm. 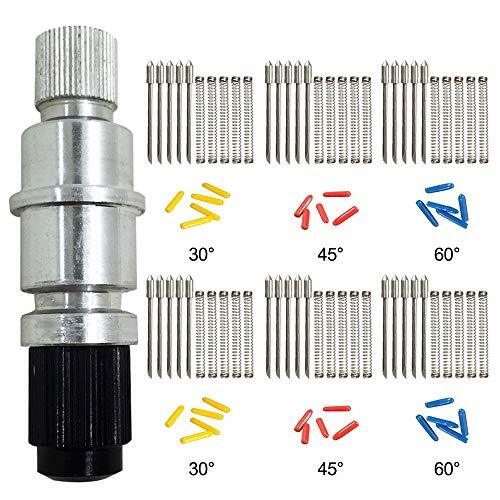 - 45 Blades for Cutting general fonts and vinyl film which within 1mm. - 60 Blades for Cutting very small font & intricate line-art logos which within 0.5mm. 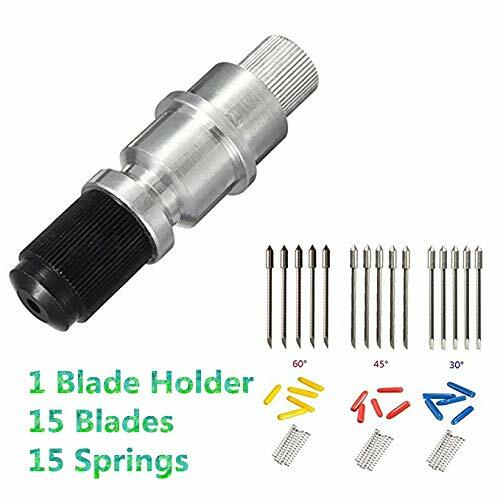 1.Unscrew the top then remove the cover over the blade and put the blade in the holder, then the spring over the blade. 2.Is very easy, first you unscrew the black part of the blade holder, then you put the blade inside the hole (the protection must be in the oposite side of the hole), next you remove the protection but use your fingers to keep the blade inside the hole, and now very carefully slide de spring trough the blade finally screw the black part of the blade holder back. Great for advertising industry, car beauty industry, fashion design, etc. 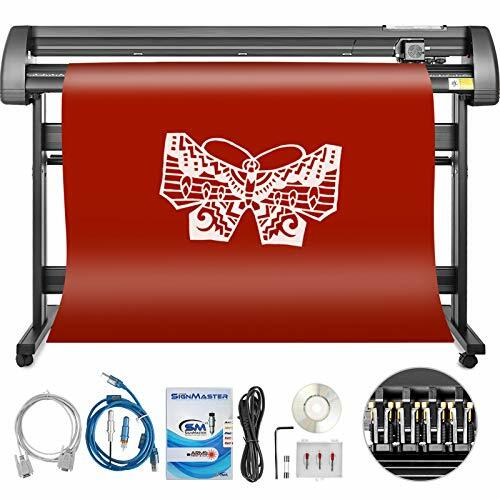 Equipped with Signmaster Cut Basic Software, suitable for a variety of image formats Great for advertising industry, car beauty industry, fashion design, etc. 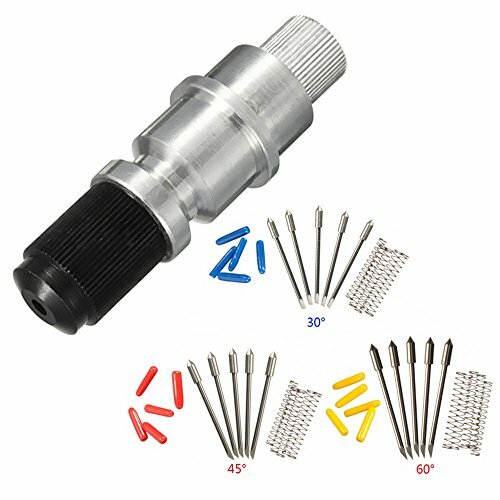 High quality, high precision, collet chuck, cutter mill. 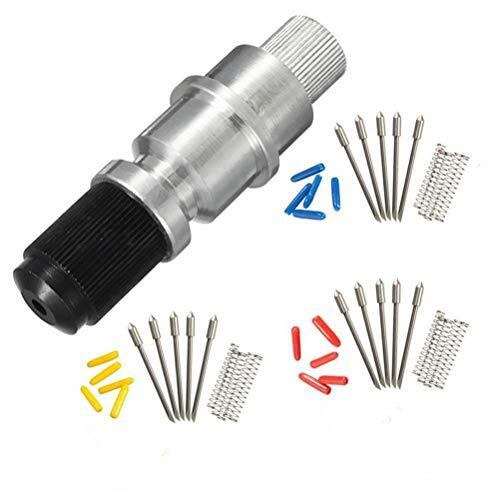 Strong and sturdy, collet for router, mill tool. Make you better, more efficient, more durable processing products. 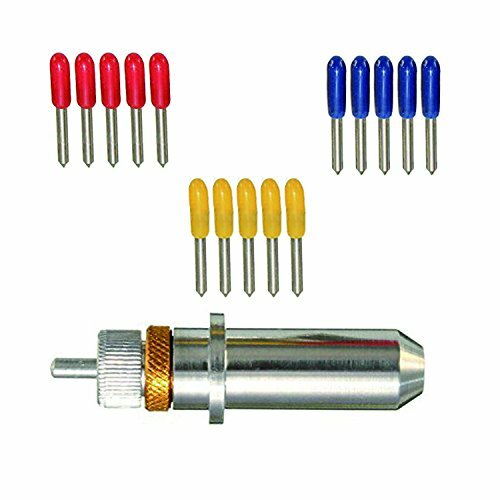 Trimmer router, Wood Routers, Woodworking, chuck collet.